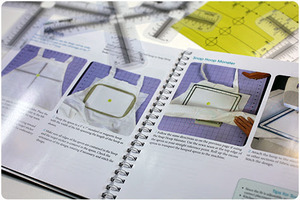 Inside the 80 page book you'll find six embroidery positioning tools you can use again and again! for Hoop T-shirts, Koozies, Hat Brims and more! For Single and Multi Needle Machine Owners! Hooping an item correctly is an important beginning step to getting a professionally embroidered design. But with the many different items to embroider and the variety of hoops available, knowing which hoop to use and how to hoop any given item can be challenging. 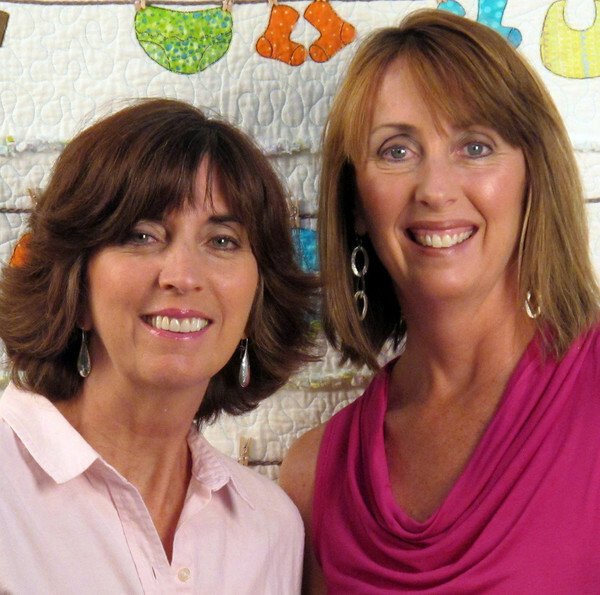 In Hoop It Up, the Stitching Sisters, Eileen Roche and Marie Zinno, take the confusion out of hooping. They've pooled their years of embroidery experience to share their best practices for embroidering over 30 popular items. First Eileen and Marie will explain the different approaches to hooping–the tried and true standard hoop, the user-friendly magnetic hoop, the on-the-edge border hoop, and the sticky stabilizer route. 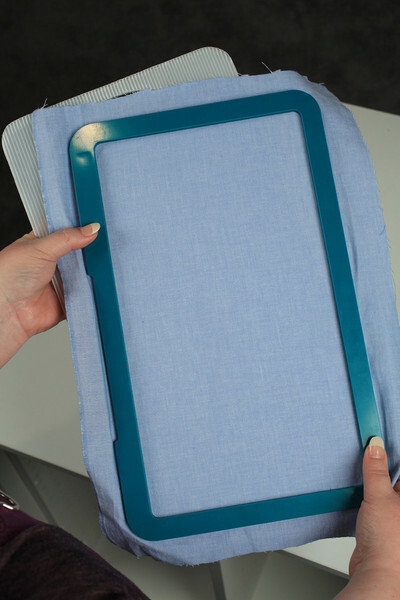 You'll also learn about a variety of embroidery tools, like the Angle Finder and Hoop Guard, which can make the task of hooping so much easier and more accurate. Next you'll learn step by step how to hoop over 30 items, both flat and tubular. 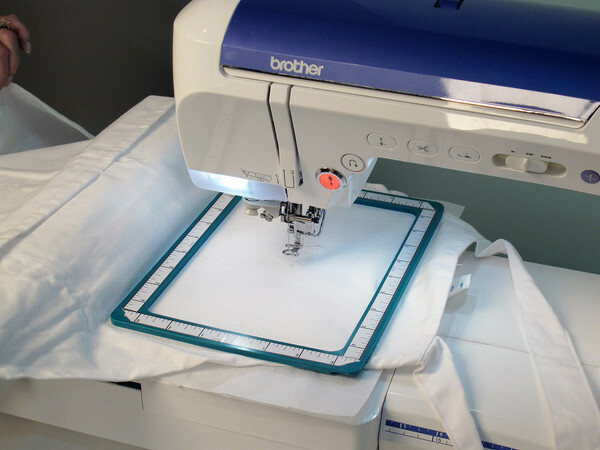 From napkins, bibs, and blankets to baby onesies, T-shirts, and hats, you'll see how to plan the embroidery for each item and how to control the variables to ensure success. Take the confusion and frustration out of hooping with Hoop It Up! You'll also discover 99 Tips for Success spread throughout the book that will save you time and prevent frustration! Inside the 80 page bound book you'll find six embroidery positioning tools you can use again and again! Learn how to hoop over 30 items! 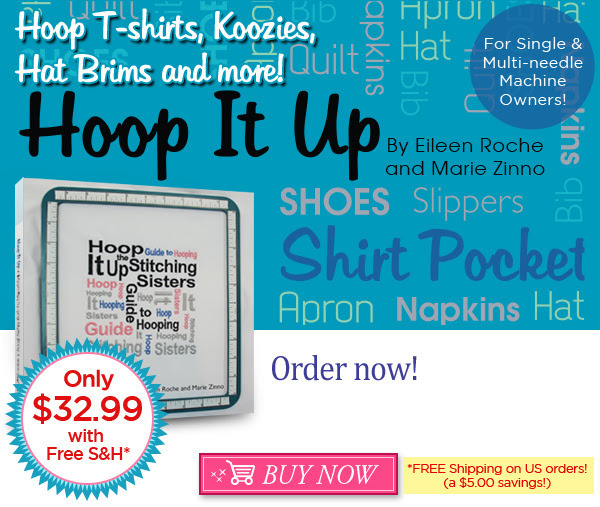 Authors Eileen Roche and Marie Zinno, In Hoop It Up, the Stitching Sisters, Eileen Roche and Marie Zinno, take the confusion out of hooping. They've pooled their years of embroidery experience to share their best practices for embroidering over 30 popular items. 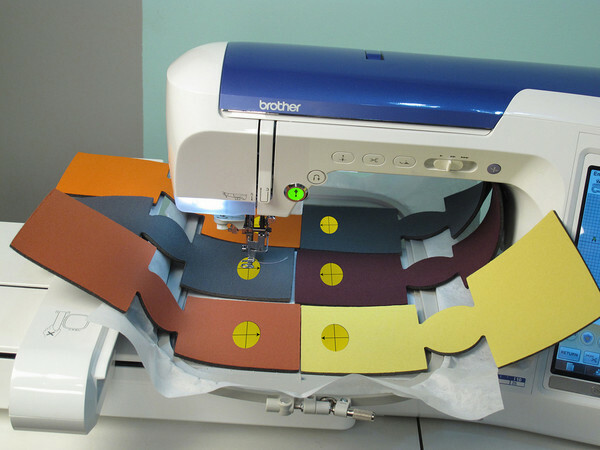 6 Bonus Embroidery Accessories! Bonus! Inside the 80 page spiral bound book you'll find six embroidery positioning tools you can use again and again! 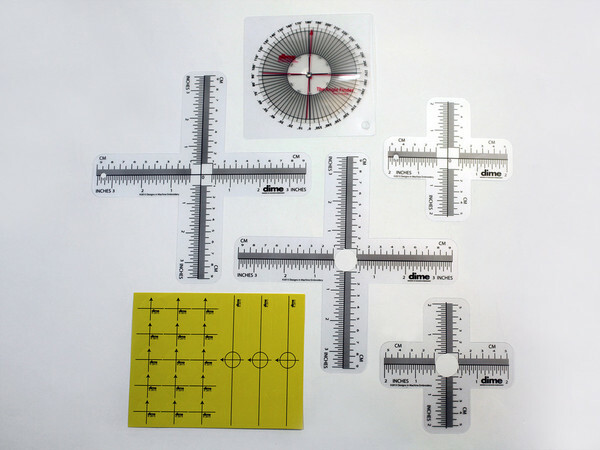 Angle Finder, 4" Target Ruler (two versions), 7" Target Ruler (two versions), Target Stickers. 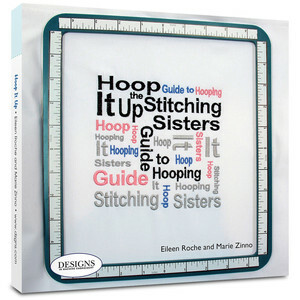 Hoop It Up Hooping an item correctly is an important beginning step to getting a professionally embroidered design. But with the many different items to embroider and the variety of hoops available, knowing which hoop to use and how to hoop any given item can be challenging.